Over the years, people have come up with some grueling and unusual ways to make money. One of your options, of course, is to get a second job. This is not always possible for a lot of people. For those who have demanding and hectic jobs, there may simply not be enough time in the day to get another occupation. An odd but certainly lucrative activity that you can do is to donate certain parts of your body. This does not include organs or anything important, obviously. Rather, there are many organizations that are interested in hair, blood, and plasma. They are also willing to pay quite well for it in certain instances. If you have long hair that you don’t color, bleach, or tamper with, you may be growing a decent profit on your head. There are many people who will pay for a few inches of virgin hair. They are used to make wigs. You can also get paid for donating blood. You can actually make a little bit more profit selling your plasma. There are several important medications that require plasma as a component. Plasma cannot be synthesized and so needs to be donated. Institutions such as Grifols will pay up to $200 for a donation. You can also join a medical trial hosted by research companies or universities. This is often a well-paid job as there are not many people willing to participate. Medical trials are hosted for new drugs. The developers of the medication need to first ensure that the medication performs its role. The scientists must also determine that there are little to no side effects as a result of the drug. All medications are required to be tested on a small, representative population before being approved for the general public. You can sign up for these medical trials, particularly if you have the genetic trait that you are looking for. These studies are usually not risky as they have already gone through several testing phases before they try the medication on you. There are several companies that offer you the chance to review their products. Once you sign up with these corporations, they will send you certain items of theirs. You then simply need to use the products and write reviews. The best part about this is that you do not have to return the items – they are yours to keep. Many of these goods are actually quite expensive and useful to you. By getting this merchandise, you are actually saving a lot of money. It can get more profitable for you, however. There are companies that may also pay you a small amount to review these products. Making money does not always have to entail hard work. 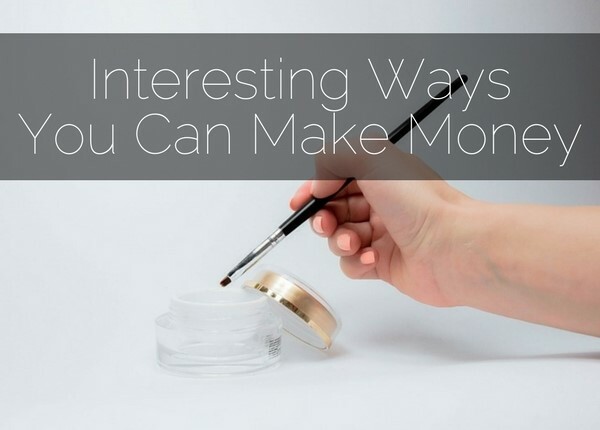 Sometimes, you can find a few easy and unusual ways to make money and pay the bills.